On the invitation of Eurelectric (The Union of the Electricity Industry) Grzeorz Nowaczewski VPPlant’s CEO will take part in a conference ‘Charge it: e-mobility now’. He will be a panellist in a discussion on how to link existing technological solutions with the market reality in the electro-mobility domain. The event will Take place on 8th October in Brussels. Julio Castro (Global Services SVP, Iberdrola Renewables), Anja Van Niersen (CEO, Allego) oraz Gilles Normand (EV Senior VP, Renault) will be the other panellists. Dorothée Coucharrière (International Public Affairs Director, Blue Solutions, Bolloré) will moderate the discussion. Grzegorz Nowaczewski has been asked by the oranizers to give some insights on optimising EV charging in buildings by reducing peak loads. 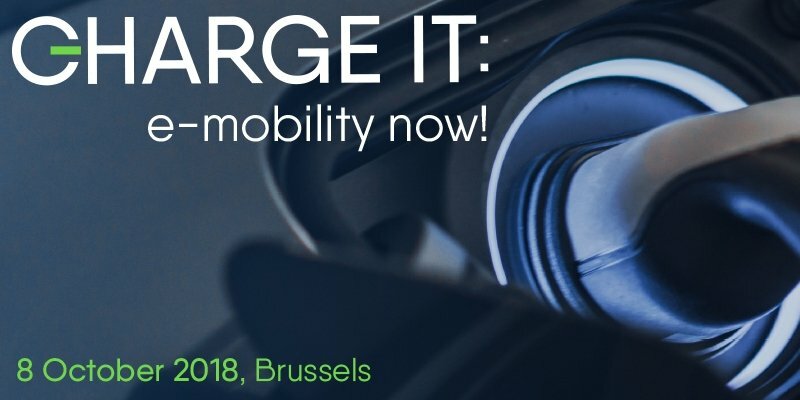 The conference ‘Charge it: e-mobility now’ will explore the opportunities and challenges that lie ahead, as we seek to boost the deployment of charging infrastructure for a bigger and wider roll-out of electric vehicles. The key objective of our event is to allow investors, developers, operators, consumers and market players to highlight and better understand the important, growing role that charging infrastructure solutions are set to play in making the clean mobility transition a reality. During the event, more than 200 high-level technology, business and policy leaders will gather and exchange on the state of play of charging infrastructure for electric vehicles as well as their vision of tomorrow. Part of the conference will be dedicated to a showcase of e-mobility charging infrastructure and products, where companies and manufacturers will be invited to present state of the art technology solutions and report on innovation developments within an interactive exhibition format. The conference oranizer – The Union of the Electricity Industry (Eurelectric) is the sector association which represents the common interests of the electricity industry at pan-European level, plus its affiliates and associates on several other continents. There are currently 34 full members, representing the electricity industry in 32 European countries.